"What happened to my PC?" No matter how fast computers might be when they are new, they all seem to get slower the more we use them. That state-of-the-art computer you bought last year might not feel like the powerhouse you paid for after you install a couple dozen programs, load it with antivirus tools, and download untold amounts of garbage from the Internet. The slowdown happens so gradually you hardly notice it, until one day you’re trying to open a program or file and wonder, "What happened to my PC?" Whatever the cause, there are a lot of ways to help speed up Windows and make your PC work better. Even without upgrading your hardware. We will optimize the registry for increased performance. We will clear cookies and optimize your Internet browser settings. We will install any missing windows and hardware updates. We will clean and defragment your hard drive. 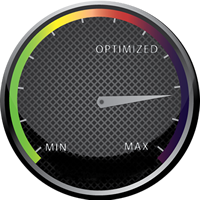 We will optimize services and processes for optimal system performance.